Japan Day 2. There Will Be Rice. Woke up at 2:30 a.m. Charged my laptop and played with the Flash 10 sound api a bit while waiting for the sun to rise. Kristine finally woke up and we went for a walk through the local rice fields. The rice is more grown and much greener than it was last year when I was here in March. 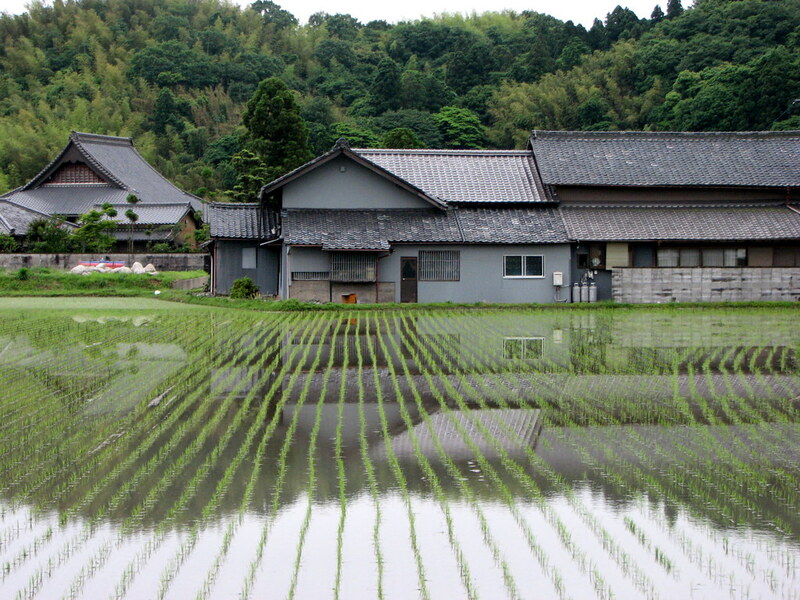 Pretty much anywhere you look there are rice fields. If there’s 100 square feet of land that doesn’t have a building or road on it or is serving some other very important purpose, there is likely rice planted there. Lots more photos of rice on my flickr page. wow where abouts in japan is this? Tado-cho, a small village near Kuwana, just west of Nagoya.